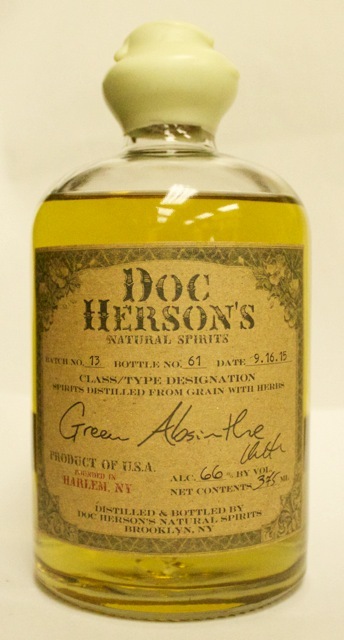 The husband and wife team behind Doc Herson's Natural Spirits first founded their distillery in a Harlem basement in 2012, and are the first Absinthe distillery in New York City. 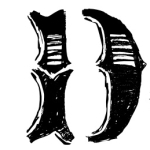 They are particularly proud of their simple, natural approach to producing their spirits - everything is made from scratch using local New York grown grains and water - in addition to their love for culture, which has inspired the unexampled palatable delights they bring to the world of craft spirits. Please call to schedule an appointment, we are happy to have you stop by. Made with organic grains from upstate New York and 11 different botanicals, our Green Absinthe made entirely in house from fermentation to bottle, can be enjoyed simple over ice or in any of the various traditional cocktails prepared with Absinthe. Or one can simply enjoy it as a cocktail with ice, seltzer and a squeeze of lemon. 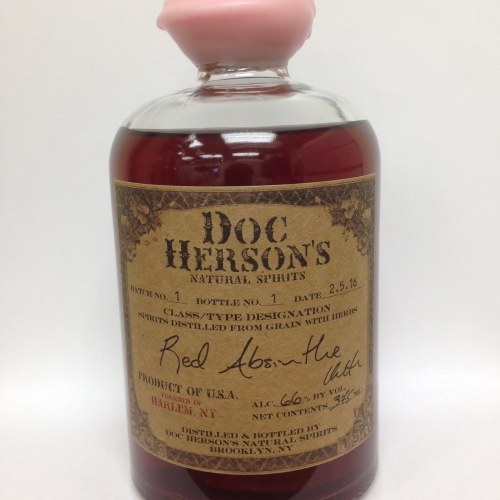 Made with organic grains from upstate New York and 11 different botanicals, our Red Absinthe made entirely in house from fermentation to bottle, can be enjoyed simple over ice or in any of the various traditional cocktails prepared with Absinthe. Or one can simply enjoy it as a cocktail with ice, ginger ale and a squeeze of orange.